Engineers are under increasing pressure to design new highway works with low operating costs and minimal environmental impact. As a result, attempts are being made to develop new forms of bridge construction with lower maintenance requirements and greater aesthetic appeal than many of those currently in service. One structural form that may satisfy the aforementioned design requirements for short span bridges is the brick arch. 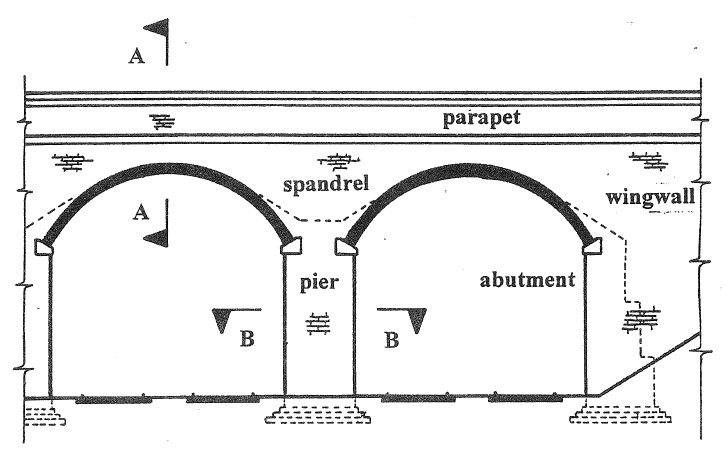 This paper critically appraises the performance of existing arch bridges, identifies the main design requirements for new construction and describes what is thought to be the first completely new brick arch bridge to be built in the UK for about 100 years.